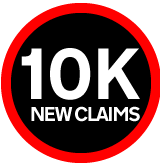 Last week the new Carer's Allowance Digital Service took its ten-thousandth new claim. Feedback from service users continues to provide pointers on how we can improve the experience and make the process more efficient. Our Google Analytics installation is generating great insight in the way the service is being used - most interestingly, around 30% of claims are being completed on mobile devices. Although this is consistent with broader trends in web access, we initially thought that the audience for this benefit would be reluctant to use mobiles and tablets. We were wrong. However, the responsive design is paying dividends as there's no need to make apps or alternative versions for smaller-screen devices. The 'change of circumstances' reporting feature has also gone into the live service - although usage is relatively low, there's a great opportunity to get users to report changes in care arrangements, finances and contact information in a far more efficient way.